Author/Opus: This is the 2nd puzzle from guest contributor Hatice Esra Aydemir. 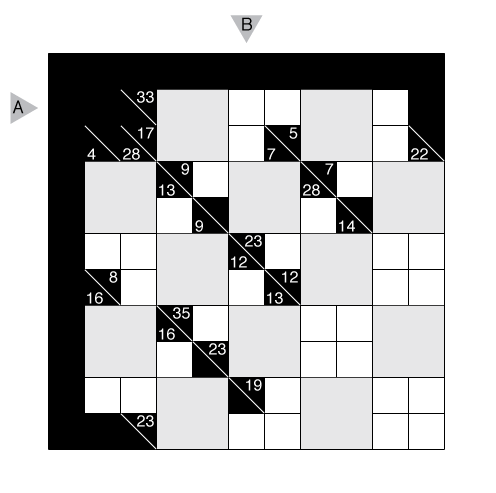 Rules: Variation of Kakuro. The gray (2×2) cells are to be filled by a single digit which sits in multiple rows and columns. No digits can repeat within an entry, regardless of if it is in a small or large cell. Answer String: Enter the values in each cell in the 1st row from left to right and then in the 5th column from top to bottom, separating the two entries with a comma. Ignore black cells.